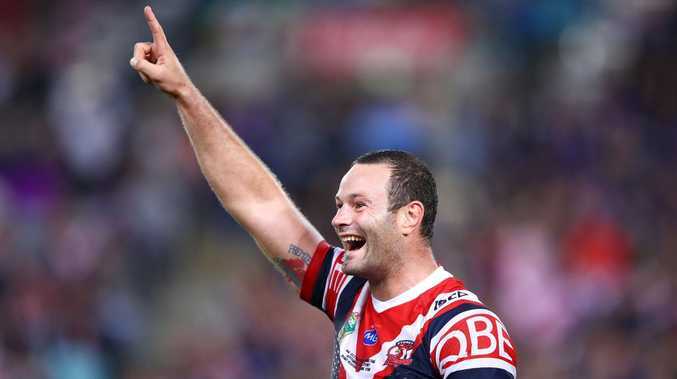 BOYD Cordner is poised to cap a dream season with an unprecedented feat after being handed the Kangaroos captaincy following Greg Inglis's brief, ill-fated tenure. Just two days after skippering the Sydney Roosters to the NRL premiership, Cordner was named Australia's latest captain on Tuesday after newly appointed Inglis was suspended for Australia's tour of New Zealand following a mid-range drink-driving charge. Dane Gagai is set to claim Inglis's centre spot after being recalled to the Kangaroos 19-man squad by coach Mal Meninga. It comes after Cordner joined an illustrious group earlier this week, with Steve Mortimer the only other NSW captain to have won an Origin series and premiership in the same year - in 1985.